Item # 307947 Stash Points: 2,495 (?) This is the number of points you get in The Zumiez Stash for purchasing this item. Stash points are redeemable for exclusive rewards only available to Zumiez Stash members. To redeem your points check out the rewards catalog on thestash.zumiez.com. Are you hitting the skatepark, streets, or mall? 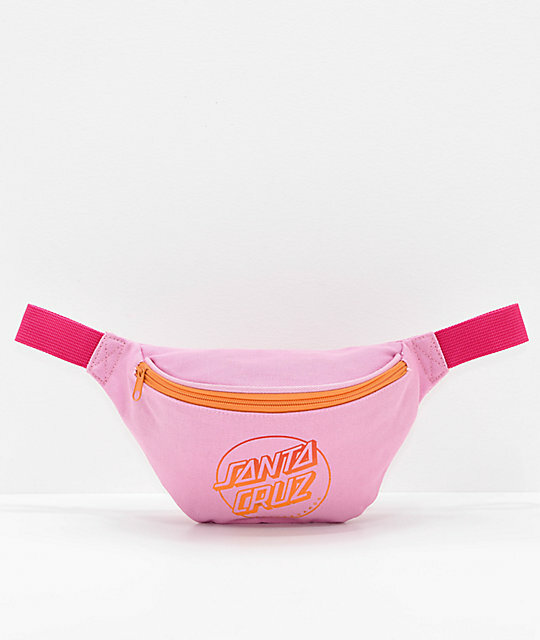 The Opus Fade Lilac Fanny Pack from Santa Cruz is sure to be your go-to accessory. 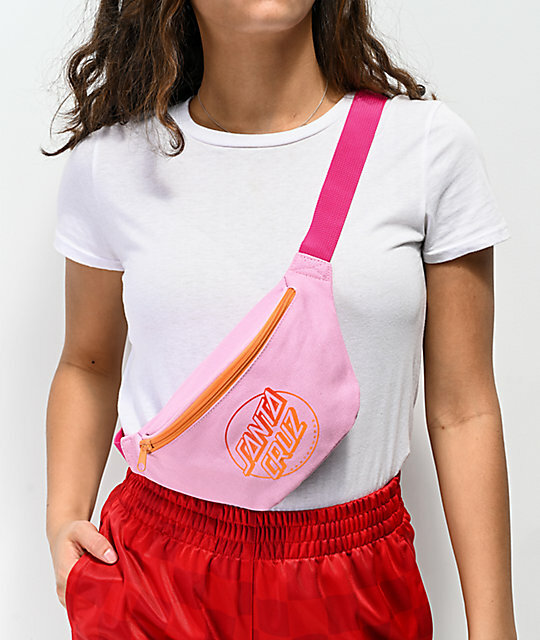 This light pink fanny pack is made from a durable canvas material and features orange zippers, a pink web waist belt, and is highlighted by an orange ombre Santa Cruz dot logo at the front pocket. With two zip compartments and an adjustable fit, this accessory from Santa Cruz will add a touch of skate-inspired styling to any outfit. Opus Fade Lilac Fanny Pack from Santa Cruz. Orange ombre Santa Cruz graphic on the front .